One of the best features of Google Nexus 7 or KitKat Android 4.4 run devices is the Google Now Launcher. But upto now it was available only for select devices as a native App. Today, Google released the Google Play version of Google Now Launcher so if you own a device running on Android 4.1 and above, you can enjoy the fun of Google Now Launcher. Kindly remember old smart phones without enough RAM wont support Google Now Launcher. Now you can also you the trademark “OK Google” feature through the Google Now Launcher on the main screen. On some smart phones this feature will be available by pressing home screen for a tad longer. This option is currently compatible with HTC One M8, One E8, One Mini 2, Desire 816, Huawei Ascend P7 and LG G3, among others. Do remember that if you own a HTC smart phone your, Blinkfeed UI will get replaced after installing this update and instead you have the Google Now panel which is customizable to your liking. So till the time you get a full Android 4.4 Kitkat update you can enjoy the full features of this App on your Android smart phone. 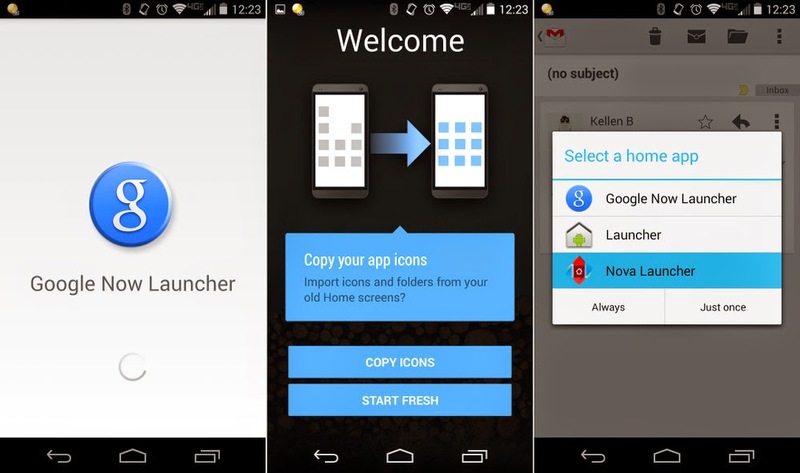 If you are interested, kindly download the Google Now Launcher from Google Play here.